Dear readers, please read again The Jakarta Post’s editorial of July 4, 2014. Entitled “Endorsing Jokowi”, the editorial clearly elaborated this newspaper’s reasons for voting against former Army general Prabowo Subianto. The editorial reminded the nation of the Post’s commitment to democracy since the fall of Soeharto in 1998. The context of five years ago is not very different from that which Indonesia is currently facing. We made a historic breakthrough in terms of democracy in 1999. In 2004, we held our first direct presidential election. It was won by former general Susilo Bambang Yudhoyono, who was reelected in 2009. The 2014 election divided the nation, up until now. Next week’s election is likely to be peaceful, but Indonesia faces a threat of recurring antidemocratic practices. Although the vast majority of Muslims are tolerant and democratic, the intolerant Islamic movement is feared to be more systemic. It was a very historic moment for this newspaper five years ago because the implications could have been very serious for this newspaper if Prabowo had won. Will this newspaper make such an endorsement again? 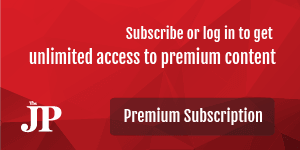 Just continue subscribing if you want to know the answer! The Post’s main reasons for supporting the then-Jakarta governor were his opponent’s track record on human rights, including the alleged kidnapping of prodemocracy activists and his close relationship with hard-line Islamic groups. “We are encouraged that one candidate [Jokowi] has displayed a factual record of rejecting faith-based politics. At the same time we are horrified that the other [Prabowo] affiliates himself with hard-line Islamic groups who would tear the secular nature of the country apart. Religious thugs who forward an intolerant agenda, running a campaign highlighting polarizing issues for short-term gain,” the editorial said. “Our democracy will not consolidate if people’s mindsets remain wedged in a security approach, in which militarism is an ideal. A sense that one candidate tends to regard civilian supremacy as subordinate to military efficacy,” it continued. 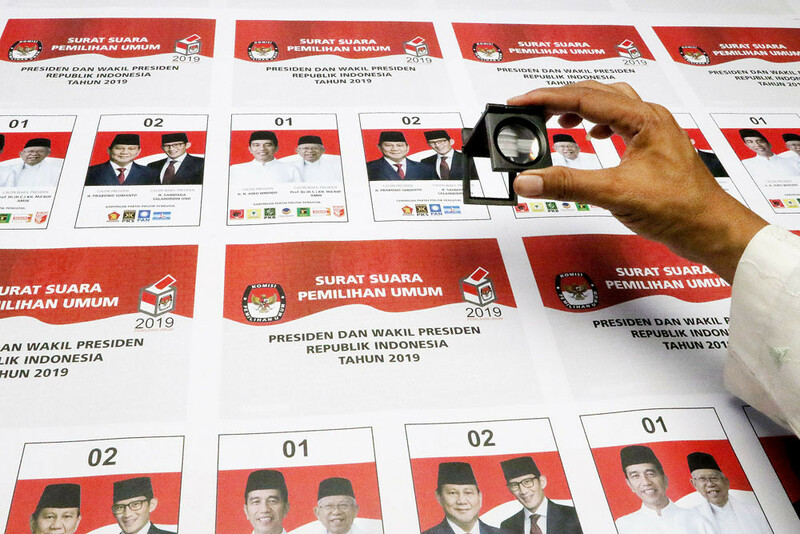 “Therefore, the Post feels obliged to openly declare its endorsement of the candidacy of Joko ‘Jokowi’ Widodo and Jusuf Kalla as president and vice president in the July 9 election. It is an endorsement we do not take lightly. But it is an endorsement we believe to be morally right,” the editorial concluded. Next week’s election will be marked by many more hoaxes on social media, deeper distrust and even hatred between the respective presidential candidates’ supporters. We are now strongly divided between pro-Jokowi groups, who tout his achievements while in office, and pro-Prabowo groups who raise new and old allegations against Jokowi and his administration. Prabowo has also tried to discredit the General Elections Commission (KPU), even though despite its shortcomings the KPU has been very credible since 1999. If Prabowo loses against Jokowi again next week, it will be futile for his supporters to blame others for his failure. They did this in 2014, to no avail. In countering his opponents, Jokowi, however, has accommodated various people’s interests and aspirations, including in picking his running mate Ma’ruf Amin, who is actually closer to the Muslim supporters of Prabowo. So will it be an attractive rematch? Could Prabowo win this time? Most pollsters predict Jokowi will defeat Prabowo again. But never rule out the possibility that Prabowo will emerge the winner, no matter how small the chance. But let’s first look back at Indonesia’s historic and incredible achievements in rebuilding democracy since June 7, 1999. We held our first democratic elections just one year after we forced an end to Soeharto’s authoritarian rule. Historians note our first true elections were held in 1955, which few recall. The election of June 7, 1999, was a completely peaceful, merry and fair “festival of democracy”. At that time, there was global concern that Indonesia would become the next Yugoslavia or Soviet Union because most Indonesians had low education, hence democracy appeared to be too sophisticated for voters. But the world was totally wrong about us! Will the 2019 election be our last democratic one? I believe next week’s election will be fair, democratic and peaceful, whoever the winner is. This will be our fifth general election in the last 20 years. By April 18 we will know the winner of the rematch, at least from quick counts. What if Jokowi wins? Those who cannot accept such a fact may still try to destabilize the government. They are not likely to wait until 2024 when Jokowi’s term ends. This means democracy is in a danger and the whole nation may regret it one day. What if Prabowo wins? I’m afraid this nation could return to the old practices of antidemocracy and intolerance. Hopefully I will be wrong. I also hope neither candidate will repeat Prabowo’s odd claim of five years ago when he declared himself the winner. Just a few minutes after his victory declaration, his supporters whispered to Prabowo, “The exit poll results we received were wrong, boss”.